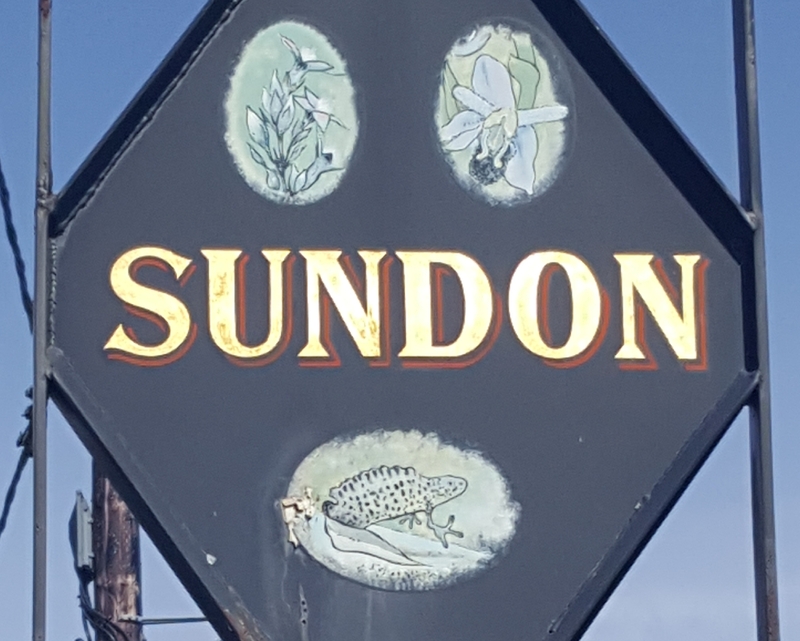 The coordinates above will take you to the village sign in Upper Sundon. The cache is not here, you will need to collect the values from the clues below to determine the final location, it is a short walk away. There are two dates on the village sign, the uppermost date is 19AB. Depicted on the sign is a Great Crested Newt, they can be found nearby, in the banks of Brights pond. Make your way to the information board, [N 51° 56.314' W 0° 28.809'] to learn more. According to the information given here, Great Crested Newts live around XY years and can grow up to Z inches long. Now insert the values into the following formula to locate the cache. The container is a micro, slightly larger than a film canister but not big enough for swaps or trackables. Beware of deep water near the sign and nettles at the final location. There is a nice play area nearby for the kids and a pub just over the road for the bigger kids.